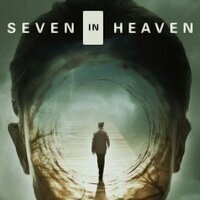 Join us for a screening of the 2018 supernatural horror film "Seven in Heaven" and a Q&A with director Chris Eigeman ‘87. Eigeman is an actor, writer and director. His early acting career included Whit Stillman's "Barcelona" and "Metropolitan" as well as Noah Baumbach's "Kicking and Screaming." He also directed the film "Turn The River" starring Rip Torn and Famke Janssen.